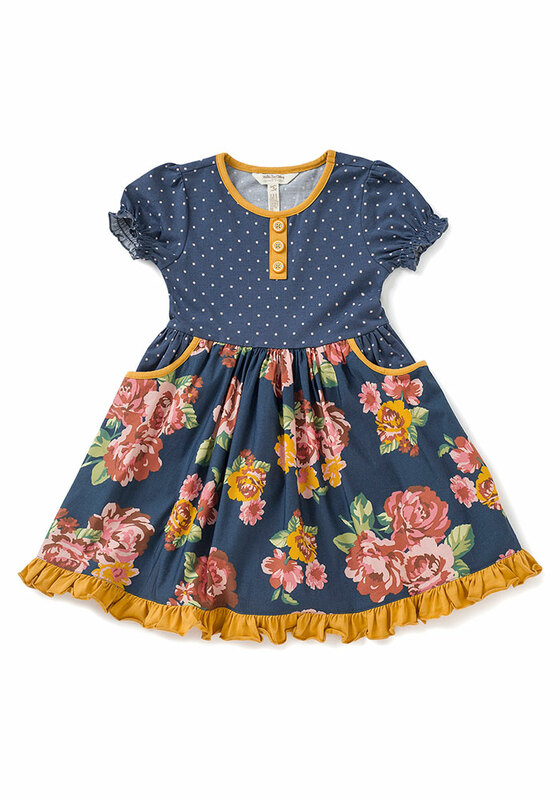 From the sweet yellow buttons, to the ruffled hem, to the darling floral on the skirt, this one belongs in her wardrobe! 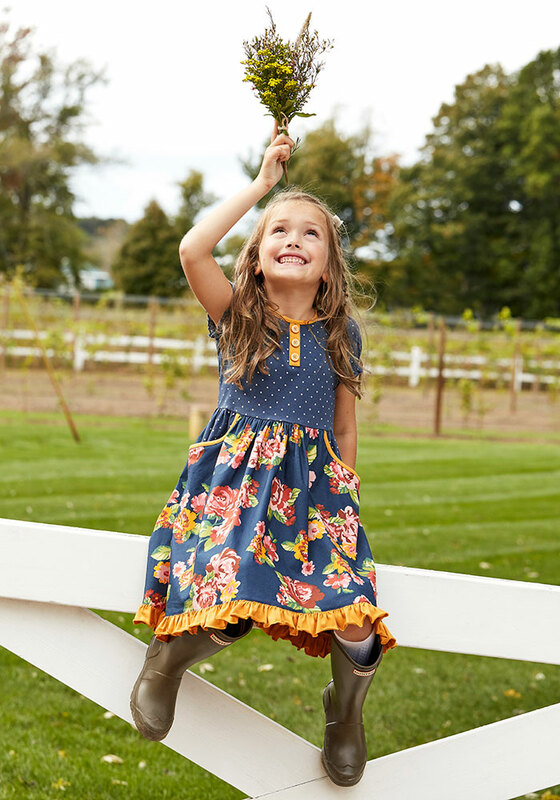 We can just see her pairing her favorite cowgirl boots with this dress. Our favorite part? The pockets!